Given the impact that he has made this season, the last thing that Liverpool want is to see Mohamed Salah leave Anfield this summer. The 25-year-old has been a revelation for the Reds since joining from Roma last summer, as he’s bagged 36 goals and 12 assists in 41 appearances in all competitions. In turn, that makes him indispensable for Jurgen Klopp, as he has led their charge for a top-four finish in the Premier League and glory in Europe this year and could potentially only get better with more confidence and time at Liverpool. However, according to Don Balon, as re-reported by The Express, Philippe Coutinho has other plans as he wants a reunion with his former Reds teammate at Barcelona and is said to be urging the Catalan giants to ditch their plans to sign Antoine Griezmann and go for Salah instead. Although it seems a bit far-fetched, there is obvious reason in such an argument, as Salah has boasted an eye for goal, technical quality along with pace and movement that would arguably suit Barcelona’s style perfectly if he was deployed on the wing. The Egyptian international would be able to stretch defences and offer a different dynamic in attack, opening up spaces for the likes of Lionel Messi and Luis Suarez to flourish even more so. Nevertheless, the same counter-argument applies as with Griezmann, as Ernesto Valverde already has Messi, Suarez, Coutinho, Andres Iniesta and Ousmane Dembele to rotate, and so adding another attacking star this summer could surely risk upsetting the balance in the current side. 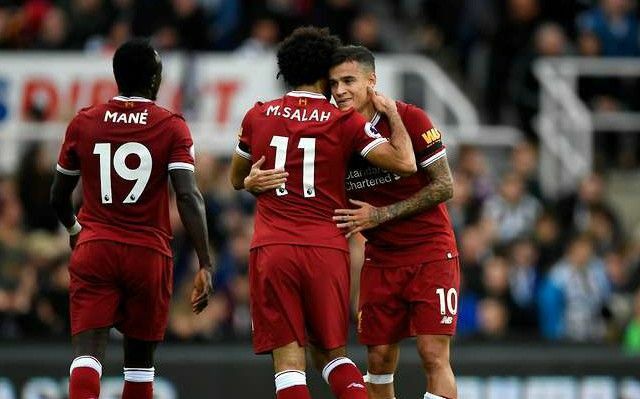 It will undoubtedly take a huge offer to persuade Liverpool to consider a sale anyway such is Salah’s importance to the Reds, but having only just signed one of their best players in Coutinho in January, the Merseyside giants won’t be in any rush to part company with their new talisman. Further, supporters likely won’t appreciate any approach from Coutinho or otherwise to convince Salah to move to the Nou Camp.